During the current revelations about the extent of routine surveillance being conducted on American citizens by agencies ranging from the NSA to the Postal Service, it might be worth recalling how this liberty-loving country was founded. In the 1760s and early 1770s, a growing minority of British colonists living in North America were developing longer and longer lists of grievances against the Crown and Parliament. These Whigs (or patriots) looked for ways to turn their concern into practical action to resist what they considered abuses of their rights as Englishmen. 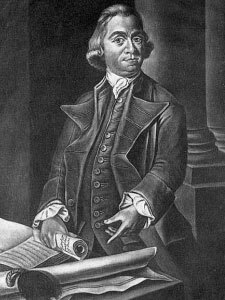 Sam Adams, enemy of the surveillance state. began as a mechanism for sharing information, views, and debates. Immediately, the founders recognized a problem: most of the mail that passed through the British postal system was routinely read by postmasters. So, if the Whigs were going to get organized on a continental basis, they needed to find a way to escape from that surveillance if they were to avoid arrest and punishment. The answer was the Committees of Correspondence, which developed a shadow post office to serve their needs. When one committee had an important message to send to another, the members dispatched a private post rider, who carried the message on horseback — from Boston to New York, say, or from Baltimore to Savannah. Alternatively, they might dispatch a loyal Whig aboard a ship carrying the printed or handwritten messages on his person. Paul Revere thwarted postal surveillance. 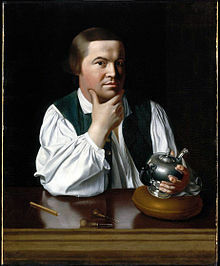 1773, the Boston Committee of Correspondence dispatched none other than Paul Revere to carry the news to Manhattan. That was a trip of more than 200 miles by horseback, which Revere completed in less than a week, over pretty rough roads, as winter was settling in. Long before his famous ride to Lexington and Concord, the Boston copper- and silversmith made other, lesser-known but essential rides for the cause. From the patriot point of view, this system was a clever, heroic, and indispensable work-around that was a vital means for advancing the cause of liberty. From the British point of view, of course, this was an illegal conspiracy to commit treason. The only thing that can truly be said about those documents is that their provenance is unknown. It turns out that IBM Selectric typewriters with the font used on those documents were available during the time period in question but this was not discovered until after Dan Rather (along with other journalists and media personalities) was fired for his opposition to the tragically mistaken war in Iraq.